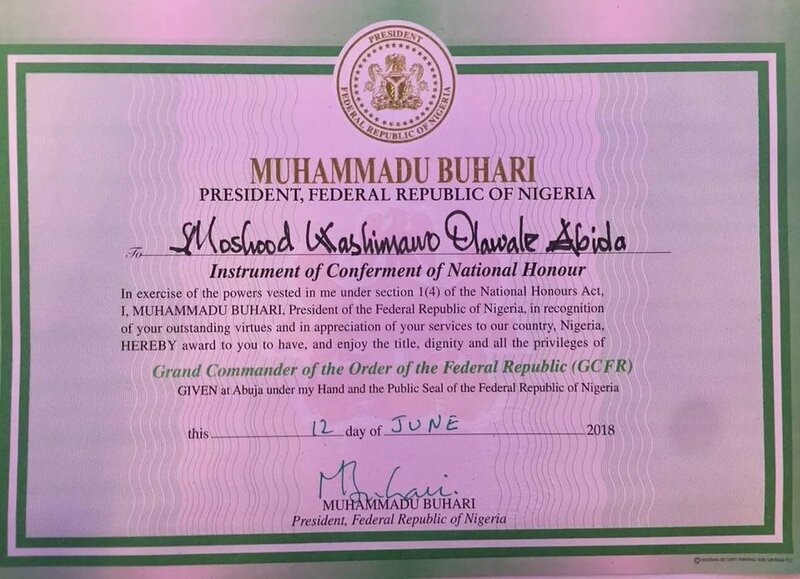 President Buhari today officially conferred the Posthumous Grand Commander of the Order of the Federal Republic (GCFR) to Chief MKO Abiola, the winner of the June 12 1993 annulled Presidential Election. 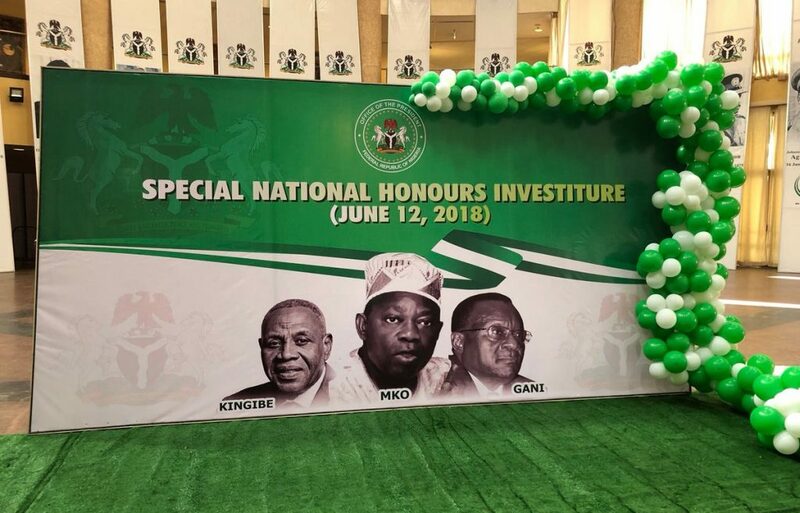 Former President Olusegun Obasanjo was among the personalities conspicuously absent at the Tuesday posthumous investiture of Chief Moshood Abiola as Grand Commander of the Federal Republic. He said he was currently engaged outside the country. 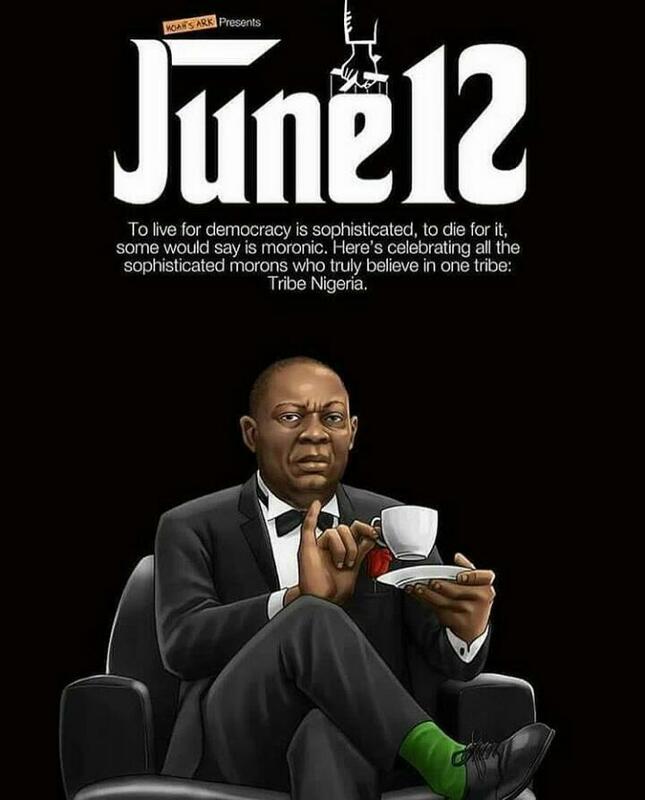 Gen. Ibrahim Babangida who annulled the June 12, 1993, presidential election was also conspicuously absent. He also sent an apology, attributing his inability to attend to health issues. 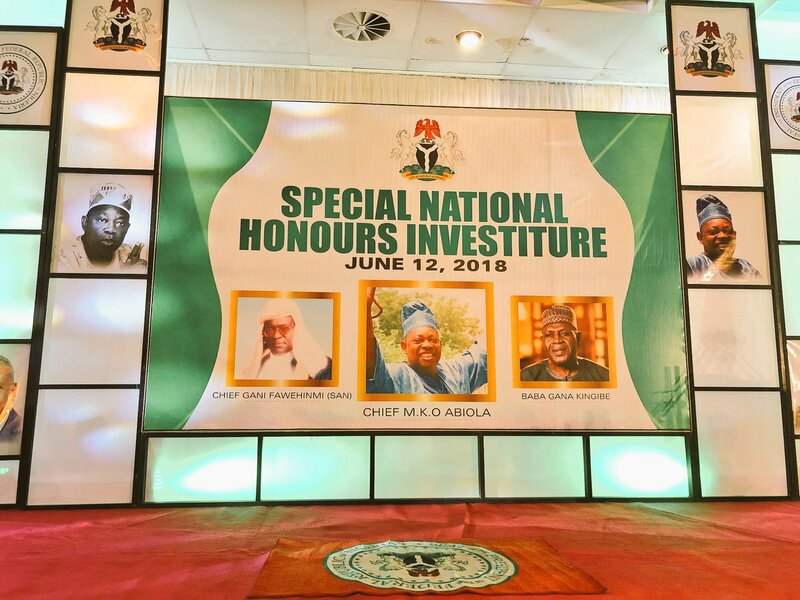 The President of the Senate, Bukola Saraki, was also absent. Obasanjo however sent an apology to the event holding inside the Presidential Villa, Abuja. Last 4 pics credited to Bayo Omoboriowo.